My voice in English: Poor Barcelona, poor thing !! On this post, I'm going to talk about the new Classic match: Barça-Madrid in the "Copa del Rey". 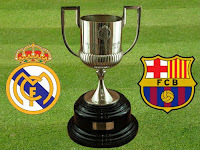 I think that Barcelona football Club deserved to win but..........................life is life !! Another thing: they ran out of the cup because Sergio Ramos threw the cup, hee hee !! 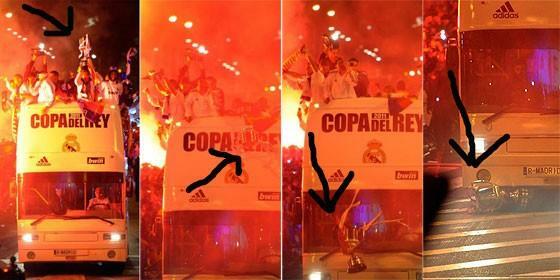 Sergio Ramos doesn't know how to treat a cup !! Oh, the Real Madrid's goal was of Cristiano Ronaldo (CR7).